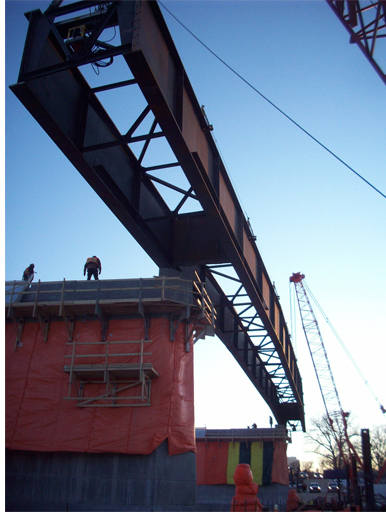 Capitol Steel fabricated and erected the structural steel for the Disraeli Bridge over the Red River which consisted of a 9 span, 960 foot long bridge. The erection of the river girders involved a great deal of complexity. 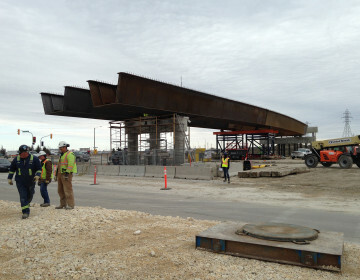 Two 300 ton cranes and one 135 ton crane were used to install the bridge over the Red River. 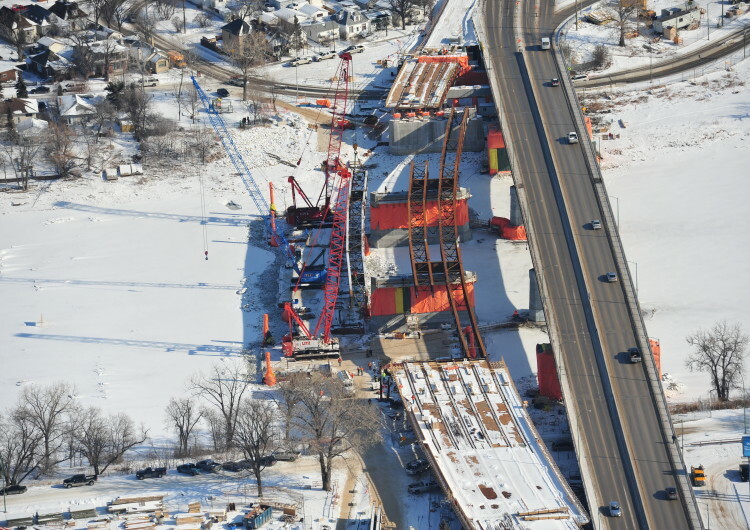 These large cranes performed all of the lifts working off of floating barges in the middle of a Manitoba winter. 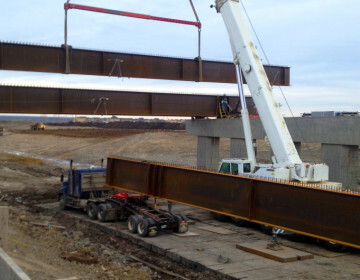 An assembly and erection procedure was developed to permit the installation in a very short time frame without the use of temporary support towers. 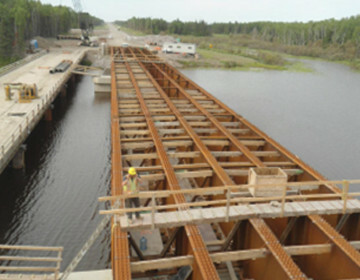 Pre-assembly of multiple girders and diaphragms took place on the barges and allowed the simultaneous erection of 6 girders in order to span the river piers. 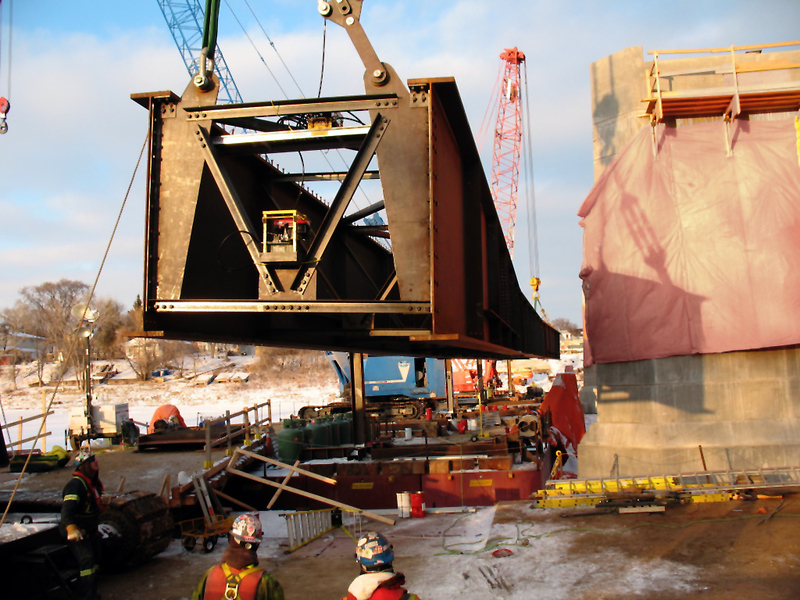 Extensive survey and adjustment using hydraulic jacking equipment was required in order to ensure accuracy of the girder assemblies on the floating barges. The massive bridge assemblies, measuring 270 feet in length with a total weight of 190 T were lifted by the two 300 ton cranes. 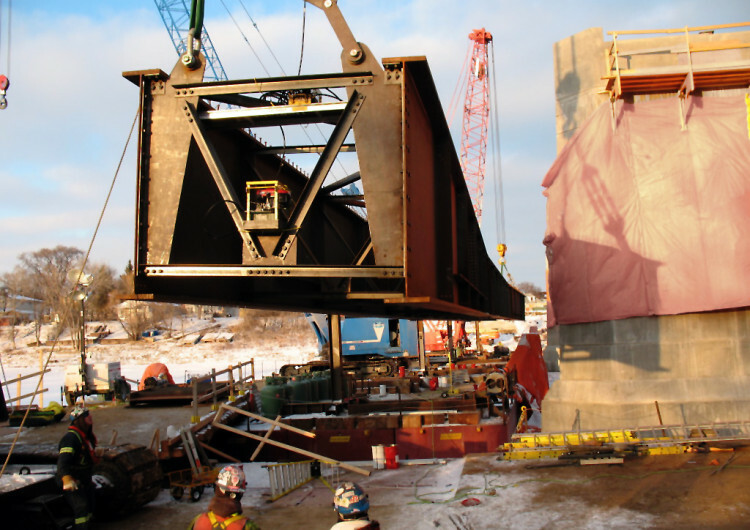 Due to barge and crane placement restrictions, the 300 ton cranes were required to tandem pick the curved bridge assemblies at their ends. The great eccentricities created by this tandem pick necessitated the design of complex rigging devices and the installation of stabilizing braces designed to withstand the loads arising from the lift configuration. 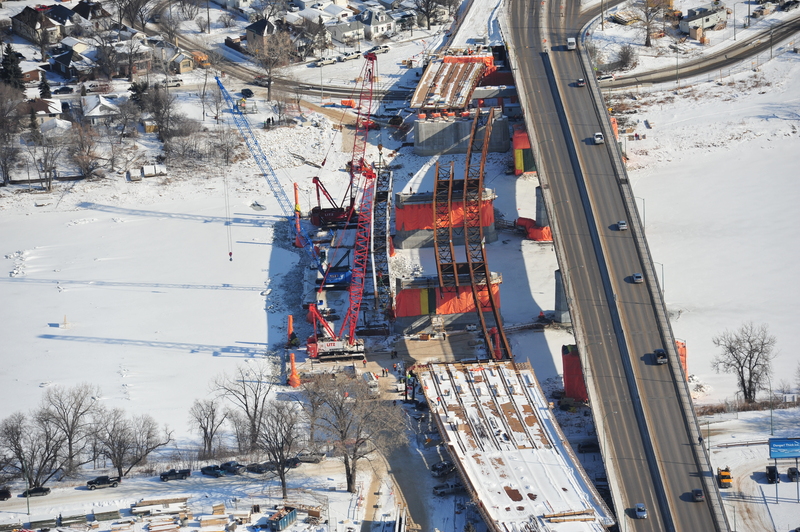 Capitol Steel worked a 24 hour, 6 day per week shift schedule in order to complete girder erection over the river in only 5 weeks – prior to the spring thaw.